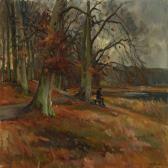 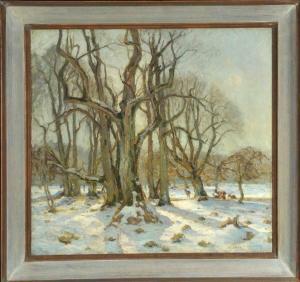 Find artworks, auction results, sale prices and pictures of Martin S. Rasmussen at auctions worldwide. 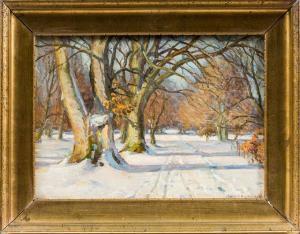 Signed lower right "Martin S. Rasmussen"
Martin Siegfried Rasmussen was born in 1883 near the Jægersborg Dyrehave, where he spent the majority of his life and also worked as a painter. 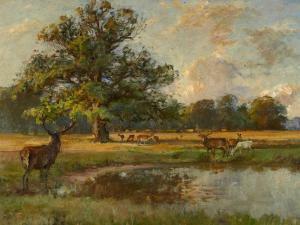 He became known for his regional landscape and animal paintings. 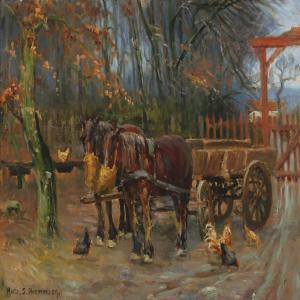 Carriage and hens outside the Dyrehaven. In need of a light surfacecleaning.